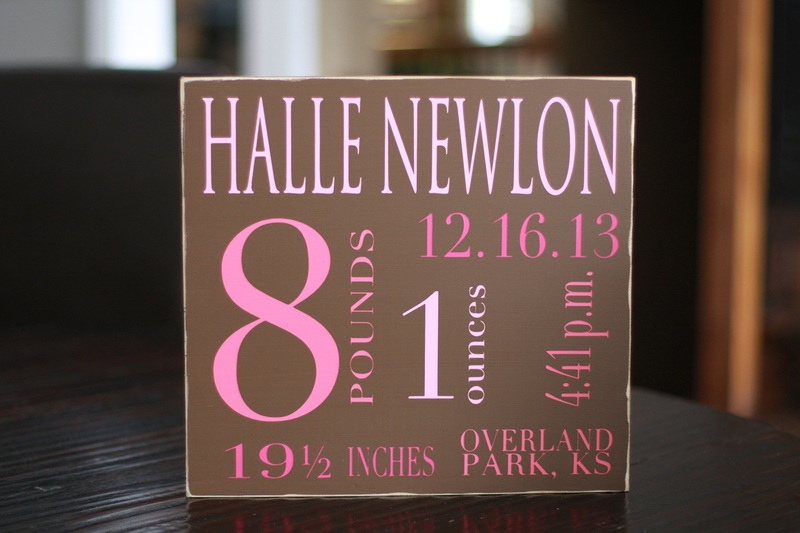 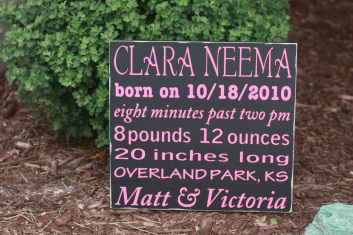 Signs are 11"x12" and sell for $35.00. 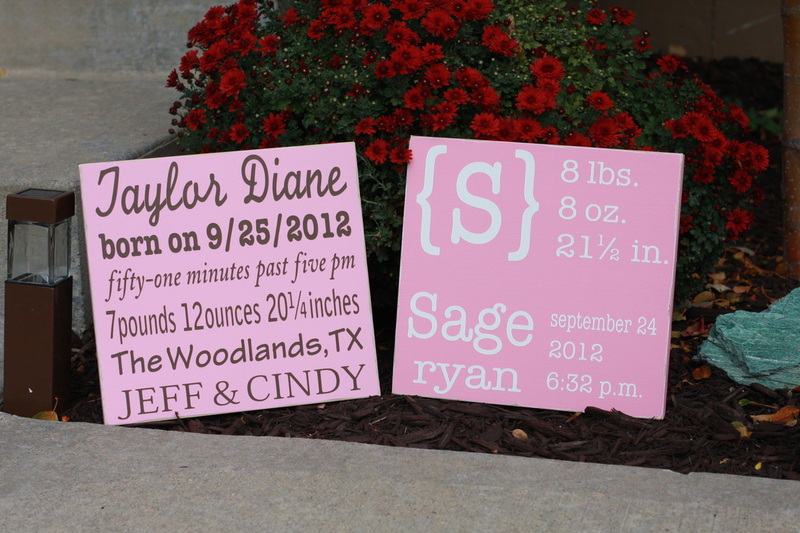 Available in any color combination. 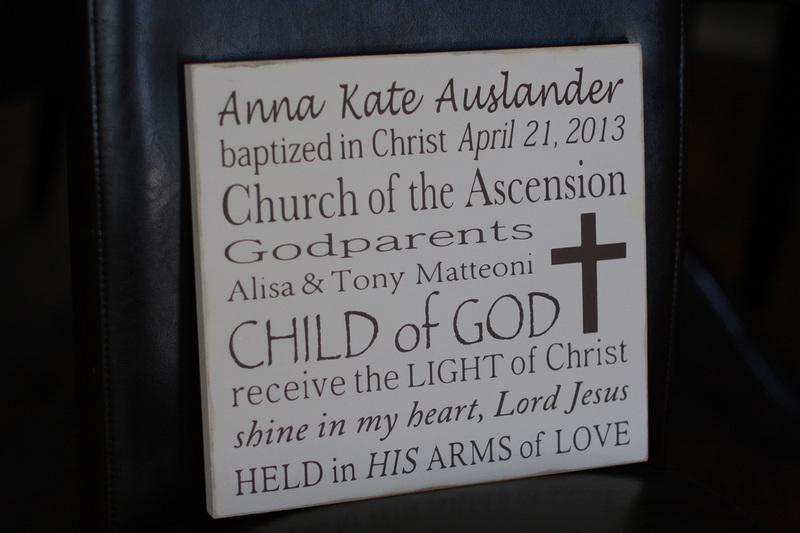 There are four designs to choose from. 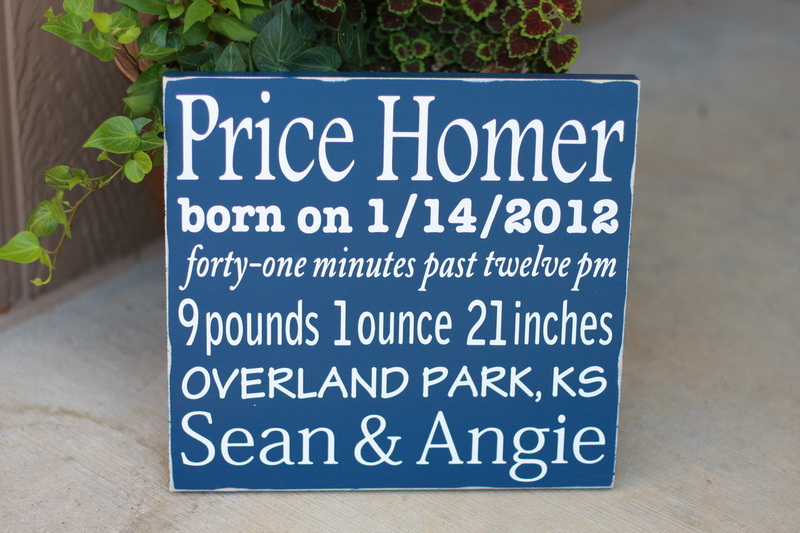 Please specify when emailing me your order. 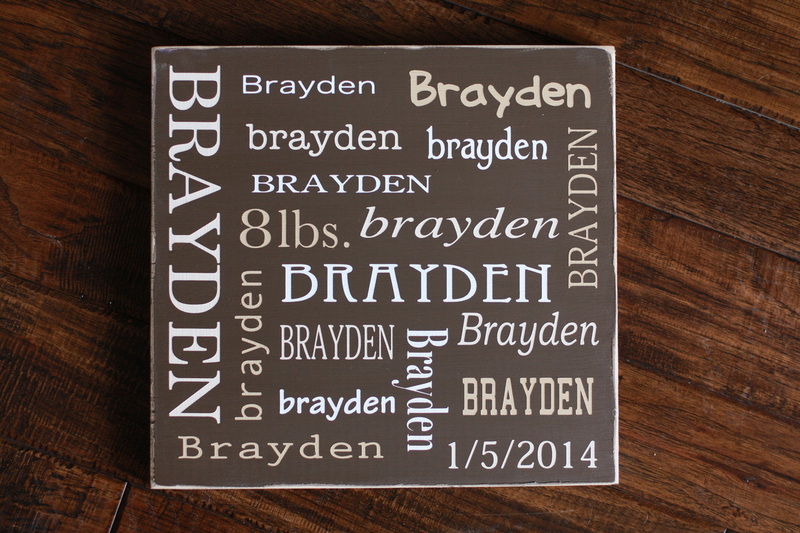 11x12, $35.00. 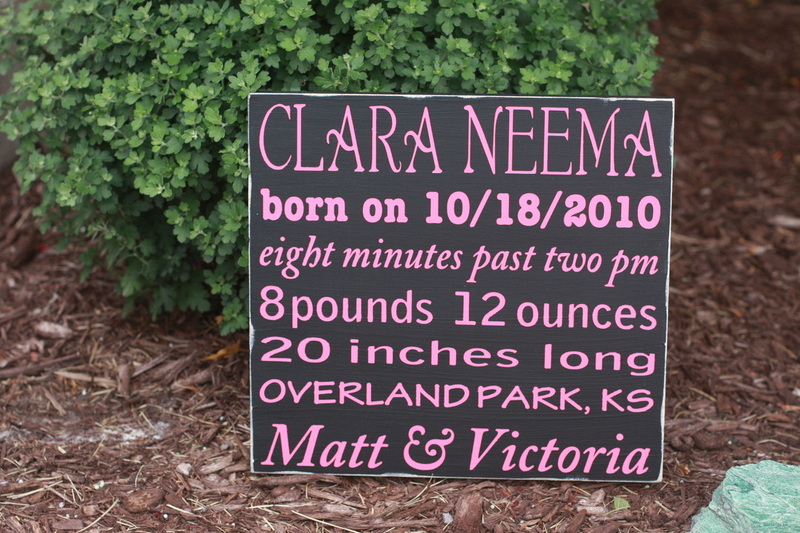 black with pink lettering. 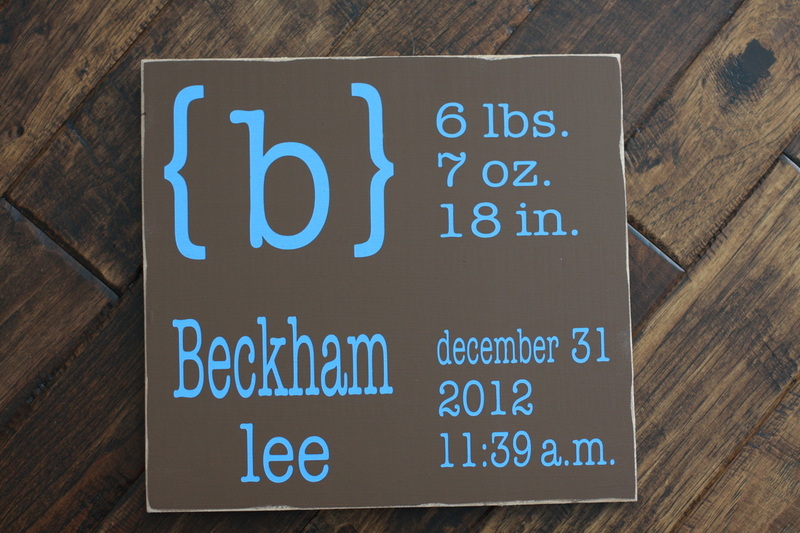 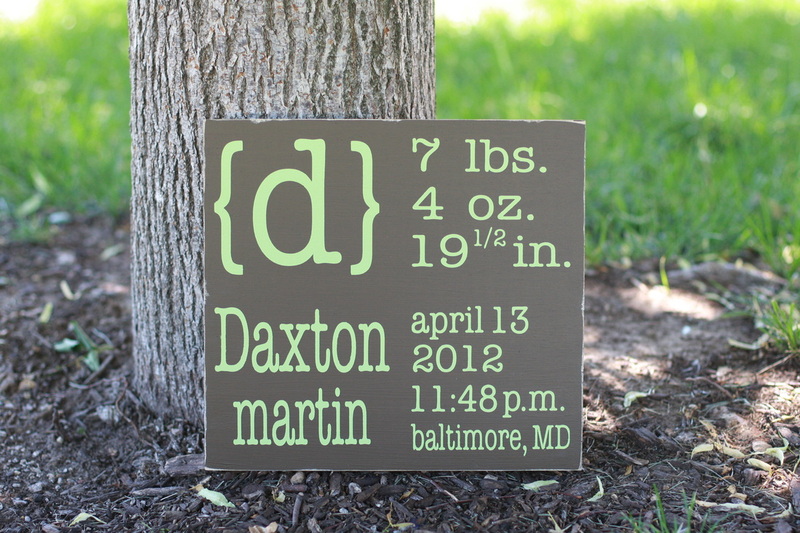 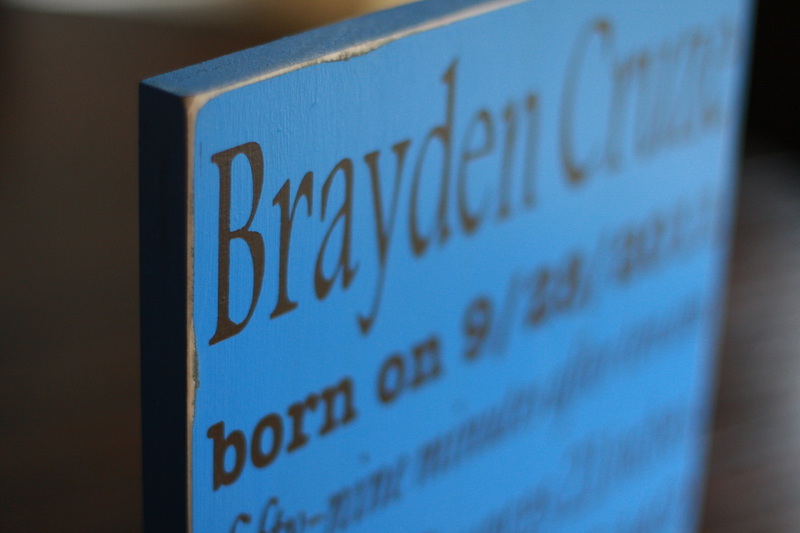 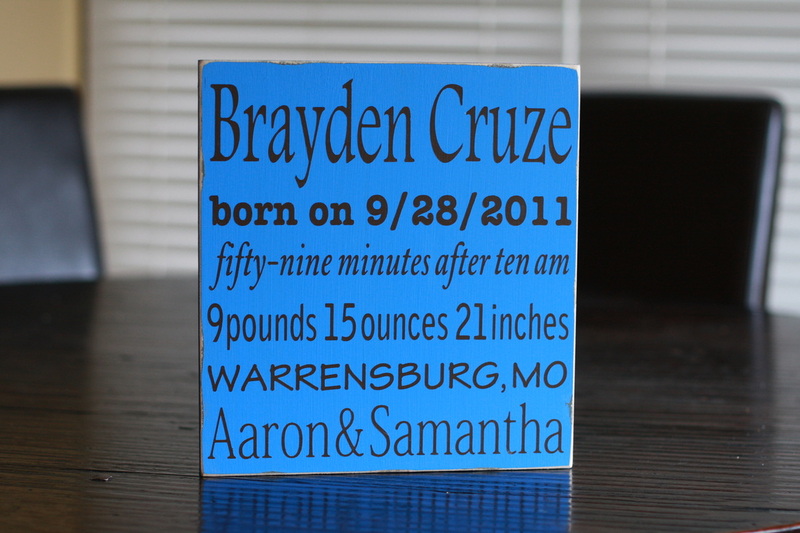 Cute Navy & white Baby Stats sign!